We used to get birthday and anniversary coupons from Anthony’s, Shenanigans, and Pacific Grill. My wife Peg’s birthday came and went and we only had one of these restaurants send a coupon to celebrate. It was from Anthony’s. Guess where we went for Peg’s birthday dinner. You guessed it: Anthony’s by Point Defiance. We relaxed and watched half a dozen boats maneuver here and there to find the best fishing spot. Nobody found it. We saw no fish being landed, we enjoyed the scenery. Actually, if we had received coupons from all three restaurants, we would have used then sometime during the month. Besides the coupon for $20 off, there were two other reasons for choosing Anthony’s. Each year in October they usually feature a special huckleberry dessert and drink. This October they also are featuring a special Surf and Turf menu offering. Peg chose the Steak Oscar with crab and lemon sauce. It was supposed to be Bearnaise, but the chef broke the new batch and there would have been a fifteen to twenty minute delay. Peg chose the lemon sauce. I innocently asked, “With extra crab?” Josh, the waiter laughed, but I think he pulled it off. 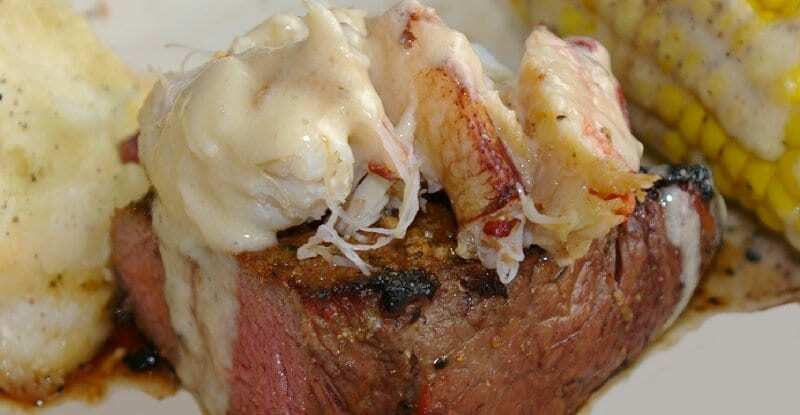 The steak, the crab, and the corn on the cob all ended up with the lemon sauce. The steak was excellent, especially for the price (just $23.95). The steak, the crab, and the corn on the cob all ended up with the lemon sauce. The steak was excellent, especially for the price (just $23.95). I ordered the special evening dinner, also $23.95, of fried Willapa Harbor oysters. They were cooked medium and were perfect. Peg and I shared bites. For dessert she had the Huckleberry Slump (cobbler) and I had the Bailey’s Irish Cream Mousse. The evening view revealed squalls of rain crossing Vashon Island and Northeast Tacoma. For the ferry and water view, the excellent meals, great service by Josh, and good prices and a birthday present of a $20 coupon it was a wonderful birthday date night. 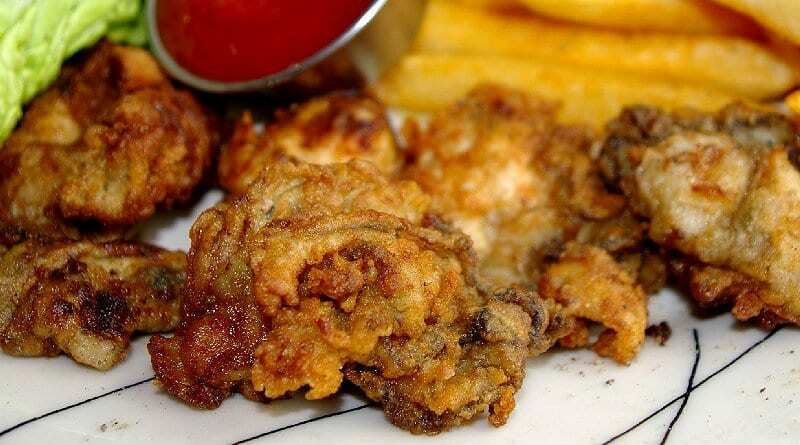 I ordered the special evening dinner, also $23.95, of fried Willapa Harbor oysters.